Almost every purchase of a house involves negotiation of the price. Buyers and sellers go into the process with the anticipation of having the chance to practice the art of negotiating the best deal for both parties. The buyer sets the tone for the process, so starting the negotiation with a reasonable and well-researched offer can help both parties to reach a mutually agreeable price and complete the sale sooner. Determine the fair market value for the home. Ask your real-estate agent to research the property with a comparable market analysis. Use the recent selling prices of homes in the area to determine a fair value for the property. 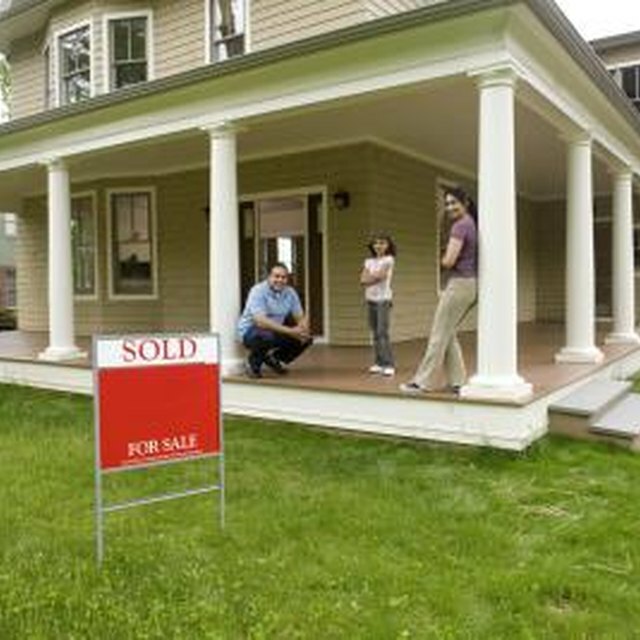 Keep this data in case the buyer's agent has any questions about the validity of your offer. Check the house's listing to see how long the owners have kept it on the market. If the house has been on the market for more than a few months, the owner might consider a lower offer. Also, if the owner needs to sell quickly because of an impending move or job transfer, she might consider an offer lower than the asking price. Make note of any special circumstances, such as any appliances or shelving that you want to keep from the original owner. If an owner needs to move quickly and will not accept a lower offer on the house, he may consider throwing in a few extras -- also called conveyances -- to persuade you to take the higher price. Other extras to consider in your offer include repairs, inspections, closing costs and agent commissions. Add any special conditions to your offer that the owner should take into consideration, such as an expiration date for the offer and method of payment. A good offer also contains financial protection in the event that you lose your financing after the owner has accepted the offer. Include all contingencies, concessions and conveyances in your original offer because it becomes legally binding once the owner accepts it. Set a reasonable price for your first offer; don't low-ball the seller. If the seller has priced the home appropriately, you can estimate an offer of 5 to 10 percent lower than the original price, taking into consideration factors such as closing costs that you want the seller to assume. An unreasonably low offer can leave the seller feeling insulted and unable to take you seriously. If you must make a low offer, back it up with research. Lower offers can drag out the negotiation process and leave both buyers and sellers unsatisfied. Avoid emotions. If the seller believes you have a strong attachment to the house and desperately want it, he will not accept lower offers from you, even reasonable ones. You must approach this as a business transaction; walk away if you feel you cannot get a good deal. Stay firm on any important terms and request that the seller remove the house from the market to prevent you from getting blindsided from another offer.